Location: 2 Piggabeen Rd, Currumbin – 94 Place Child Care Centre – Loving Hearts Child Care. This child care centre construction was a referral from a previous client. Forwarded to us with a current DA in place, Jorgensens completed the BA approval stage to comply with all council permit requirements. A 1207m2 Child Care Centre on 3926m2 of land along with a 36 space car park for staff and customer parking, and surrounding generous landscaping will be constructed to a turn-key finish. 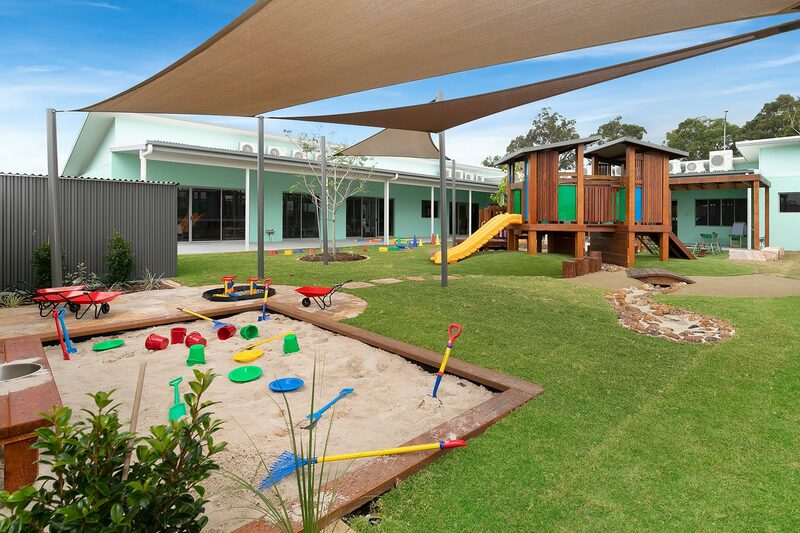 Complete with retaining, bio retention and detention tanks, play forts, entertainment areas, sandpits, shade sails, natural environments, landscaping, play equipment softfall and natural turf. Commencing in April / May 2017 this centre was completed in October ready to open in January 2018.